Everyone wants it, but it remains elusive to most. Organisations invest vast amounts of money in facilities, people, programmes, and process, and yet fail to capture it’s essence, whilst in a garage a group of students demonstrate it, and raise crowd funded capital to exploit it. 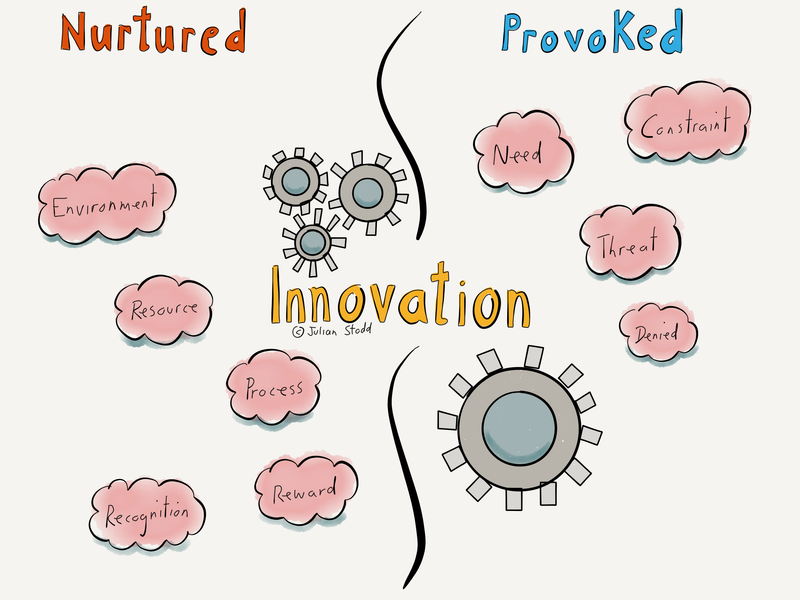 Innovation is the word, a subject of much desire, and yet caught, for many, in an inextricable trap. A trap of our own design. Innovation is an emergent feature of a dynamic system, not a process within a system, or a target set upon it. Innovation may be nurtured, but is equally often provoked, and here’s the funny thing: innovation itself is rarely enough, unless accompanied by the ability to exploit it. We have to be able to hear weak voices within the system, to develop, nurture, sense make, and prototype, before we can exploit. The trap lies open, with ‘exploitation’ written on it’s lip: the over-early exploitation of innovation can kill it dead, because the two states may be mutually exclusive. When we look for innovation, we should be searching for curiosity, for a freedom to explore and expand. We need to hear voices that encourage us, voices that challenge us, and maybe even subversive voices that try to demolish our ideas. We need to find a certain synergy, and ability to build communities to sense make our ideas. Innovation may be a spark, but you surely need to lay the tinder and fan the flames. Exploitation comes later: we can take the risk and make it safe. Systematise, map process, achieve scale. We can make it replicable, and efficient. We can make it conform and be safe. 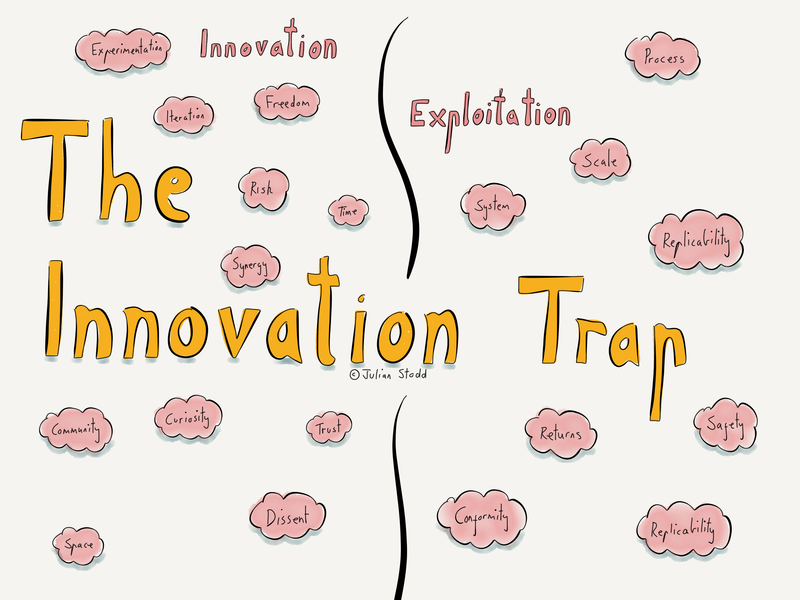 The trap lies in doing this two early: often organisations talk about ‘innovation’, when really they mean ‘product’, they talk about ‘creativity’, when they mean ‘constraint’. They even say ‘take risks’, when they mean ‘extinguish flames’. We engineer our own constraint into our organisations, often by making them too safe in just the wrong spaces. A Socially Dynamic Organisation creates spaces: spaces to learn, spaces to explore, spaces to innovate, spaces to prototype, spaces to fail safely. Only when it has done it’s learning does it move to exploitation. The Constrained organisation, by contrast, talks of innovation, but trades in Constraint: it hears the voices that it wants to hear, but dismisses the weak voices that it needs to hear. If we want to avoid the innovation trap, we must understand the two spaces, and everything that comes with them: innovate, broadly, at scale, and exploit it, when you have raced the ideas. But do not try to constrain the race: by doing so, we build our own failure, we engineer our own constraint. 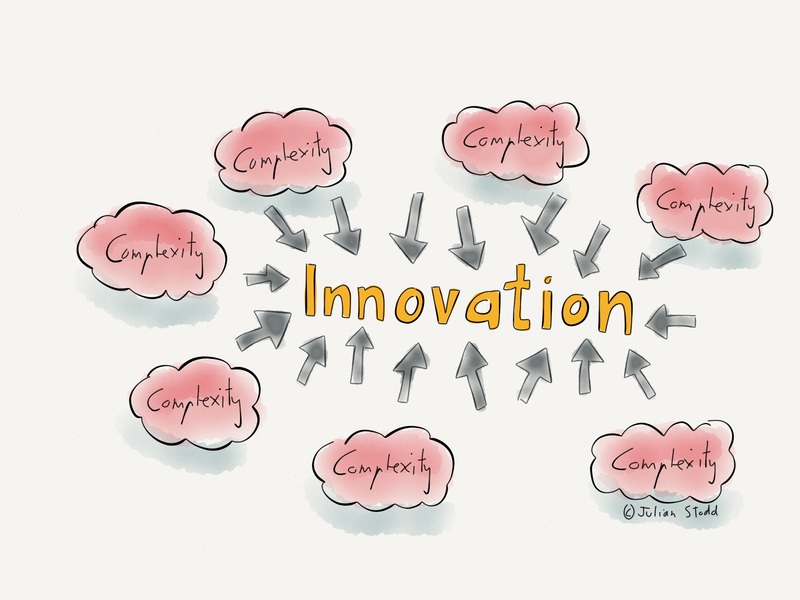 This entry was posted in Innovation and tagged Change, Constraint, Creativity, Innovation, Leadership. Bookmark the permalink.